Arrow Card Personalization Ink is made with durable pigments. 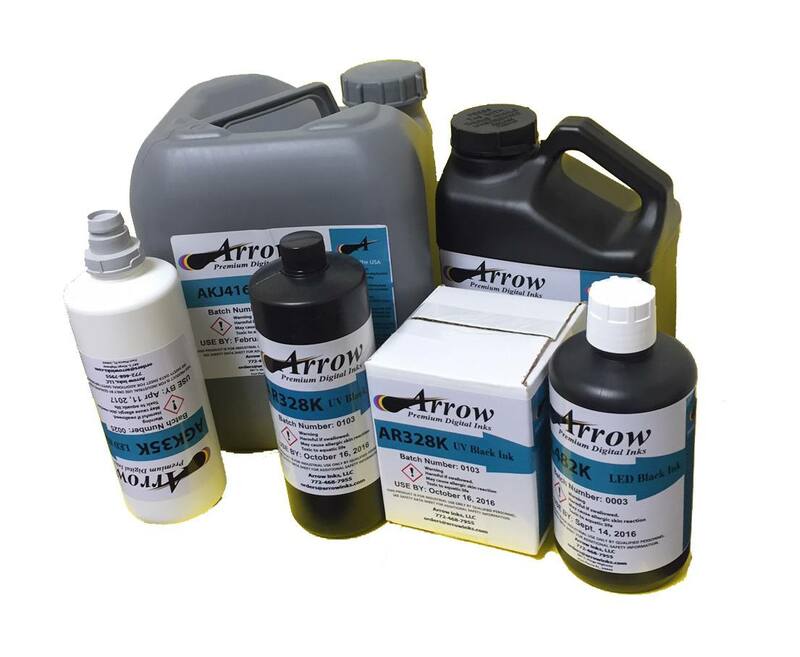 Arrow DOD inks are curable with traditional UV and LED lamps. Arrow Inks are manufactured with the tightest specification for color and adhesion. You can expect long nozzle open times, fantastic barcodes, and consistent reliable performance from our Card Perso Inks that are well received world-wide. Available in various packaging options and volume sizes to fit your ink delivery system and printing requirements. Arrow Inks are in health and environmental compliance with REACH, prop 65, and CPSIA. For your FREE SAMPLE please contact us at orders@arrowinks.com.